15 People of Africa Unite! James Stephen Mzilikazi Khumalo was born on 20 June 1932 on the Salvation Army farm, KwaNgwelu (known as Mountain View in English), in the Vryheid district of Natal, South Africa, where his parents were being trained as Salvation Army ministers. "It was only when I was older and I composed my first work of music that I started using Mzilikazi exclusively as my signature on my work." Born to deeply religious parents, Andreas and Johanna, Khumalo imbibed a spirituality he has transferred to all his musical compositions from his first work Ma Ngificwa Ukufa in 1958 to his current composition Hallelujah Mdumiseni Nonke - written in the rondo style. Shortly after his birth, his parents were ordained in the ministry, and the family moved to Durban, and later to Hlabisa, where his schooling began. Here also began his life-long involvement with choral music - he became a member of the school's children's choir, and participated in singing at community events such as weddings. During this period, Khumalo developed a deep love for traditional music. In the late thirties the family moved to Vryheid, where Khumalo became a member of the senior school choir and was introduced to Western vocal music. He also became a member of the church band, playing solo euphonium, and learned staff notation in addition to the tonic sol-fa with which he was already familiar by this time. After spending a year in Vendaland, Khumalo continued his schooling at the Fred Clarke High School in Soweto, where again he was a member of the school choir, later occasionally taking rehearsals and training the soloists, as well as helping with the training of the junior school's choir. 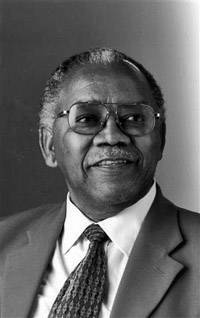 Then, he continued his studies, obtaining the BA degree with majors in English and Zulu in 1956 from the University of South Africa, and later went on to completing his MA and PhD degrees. Khumalo began teaching at the Wallmansthal Secondary School, in the district of Pretoria, the bio relates, and began composing music. His first composition was Ma Ngificwa Ukufa. 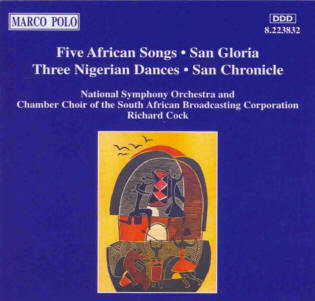 After its 1959 premiere, the piece was selected for the Teacher's Section of the first National Choral Festival of the African Teachers Association of South Africa (ATASA), which took place in 1961 in Bloemfontein. Khumalo also conducted many choirs at this festival, where his charges usually won the choral competitions, and for which he was engaged also to compose many choral works. He studied music theory, harmony, counterpoint, form and composition under Charles Norburn of Pretoria and continued composing, setting many poems by B.W. Vilakazi. He also studied singing under Prof. Khabi Mngoma of the University of Zululand, and, later, under Zandi Casan of the University of the Witwatersrand. 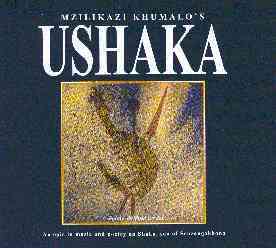 Khumalo began as a tutor in the Department of African Languages of the University of the Witwatersrand, Johannesburg in 1969. He advanced steadily to the positions of Professor of African Languages and Head of the Department. After 1980 he rekindled his interest in traditional African music and stopped composing for a while in order to study the genre, concentrating on collecting and arranging black folk music. After writing Izibongo ZikaShaka, he met Prof. Themba Msimang, a poet who has supplied the lyrics for many of his compositions. Khumalo has often served as an ajudicator of major choral compositons. He is both Conductor and Director of the Soweto Songsters, the Central Division Songsters of the Salvation Army. The group has performed in Britain, Israel and Norway. A special Music Festival was given in Khumalo's honour in November 1983 by the Amazwi KaZulu Choir "in recognition for [his] persistently high quality output as a composer, and [his] magnificent Zulu idiom in some of [his] best compositions" (Chris Mchunu, PRO). He won the African Bank Tenth Anniversary Songwriter Contest with a work titled Isibaya Esikhulu Se-Afrika, and wrote Intonga YoSindiso for the enthronement in 1986 of Archbishop Desmond Tutu (from whom Khumalo learned to play cricket). Khumalo has also been commissioned to write music for a number of high-profile occasions. 15 People of Africa, Unite! Banto Be-Afrika Hlanganani is a song in modern African traditional style composed on the Nation Building theme: "People of Africa, unite!" PART 4 - The death of King Shaka. Dr. James Stephen Mzilikazi Khumalo is now an Emeritus Professor of the University of the Witwatersrand, Honorary Professional Research Fellow in its School of Music, and Vice-Chairman of the Board of Directors of SAMRO. The bio points out that he also played a role in producing an official version of the South African National Anthem, at the request of President Nelson Mandela. Khumalo also serves on the Music Committee of the National Arts Council. The 2007 M-Net Prizes for fiction - the only major literary awards in South Africa for black African languages, in addition to English and Afrikaans - were announced last night at a joint function with the Via Afrika Awards in Cape Town. An M-Net “Lifetime Achievement Award” accompanied them: it went to Professor Mzilikazi Khumalo, former head of the Department of African Languages at Wits, for a life spent in the service of African literature. All the awards are worth R30 000. Khumalo, a high school teacher by training, and his wife, Ditlhare, have four children who he says are not that musical. "My third son has a degree in music but is a church minister and my first daughter sings but is a medical doctor," he says. The new concerto marked an additional landmark: "It was my first piano concerto and, I believe, the first such from a composer of colour here. It’s a homage to Prof Mzilikazi Khumalo, a great man of music and letters, but also — because it is based on his liberation anthem, Bawo Thixo Somandla — a bridge between the two parallel musical worlds that have grown up here: the white orchestral/classical world and the black choral world."